Not only is education a tool for success, it is also a necessity in today’s society when seeking a competitive career path. In our modern society, there is limited opportunity for people without a college degree, and even less for people without a high school diploma. The level of classes taken in high school play a large role in what universities a student will apply to, and have success in. Advanced Placement (AP) classes have earned a credible name for themselves, and “passing” test scores are recognized for college credit at many established four-year universities. International Baccalaureate (IB) classes are of similar caliber. Likewise, IB “passing” test scores are also recognized for college credit. I am conducting my research on the International Baccalaureate Organization’s (IBO) Diploma Programme, as it is arguably as rigorous, but not as widely known as College Board’s Advanced Placement. My research asks the following questions: When and where did the International Baccalaureate curriculum first arise? How did it spread to the United States after its creation in 1968? What has its impact been on students since the 1970s? The International Baccalaureate Organization (IBO) is an international, non-profit educational foundation. Since the founding, IB has earned a reputation for high standards of teaching and student achievement with standards-based learning. The IBO works with schools, governments, and international organizations to develop challenging programs of international education and rigorous assessment. The IBO offers four programs for students ages three to nineteen: Primary Years Programme, Middle Years Programme, Diploma Programme, and Career-Related Programme. The Diploma Programme (DP) for students ages sixteen to nineteen will be studied specifically for its impact on students’ preparation for success in higher education. My research will study how the IB curriculum has spread from its origin in Europe in 1968 to hundreds of other countries, specifically the United States after the 1970s. Although IB was adopted for United States military families, proponents of a global education embraced it because it is a rigorous curriculum comparable to AP. The IBO contends its curriculum as making students more likely to succeed in higher education. However, it does not consider selection bias as a contributing factor among the students enrolled in IB courses. The International Baccalaureate Organization originated in Geneva, Switzerland in 1968 after a significant demand arose among the international school community for a globally recognized secondary school diploma (Tarc 235). IB education was devised to provide a uniform and portable education to the children of diplomats, military personnel and business professionals as they moved around the world, in order to ensure a complete education (Gross). It was never intended for public schools, but has since expanded to be implemented in them. According to IB’s “Find a World School” list on their website, as of 2016 there were over 4,500 schools offering one or more IB programs. The author of Pros and Cons of International Baccalaureate Program, Dr. Patricia Fioriello, writes, “It is an integrated program, and that is increasingly being adopted by international schools globally for a variety of reasons including a standardized international curriculum for students who are ‘global nomads.’ The program…stresses the “global” citizen…” (Pros and Cons). This is likely one of the reasons it became attractive to schools in the United States as it spread from its origin in Europe. The Diploma Programme (DP) has specific requirements that must be contextualized in order to understand the curriculum. The DP curriculum is made up of the DP core and six subject groups. The core has multiple components including theory of knowledge (TOK), creativity, activity, service (CAS), and the extended essay. The six subject groups are in language and literature, language acquisition, individuals and societies, sciences, mathematics, and the arts (“DP Curriculum”). Most subjects may be taken at either standard level (SL) or higher level (HL), depending on what a school is able to offer. To earn the full diploma a student must take at least three subjects at HL, as well as take the three core elements — TOK, CAS, and the extended essay (International Baccalaureate Diploma Programme). However, students are also able to take IB classes for credit, without completing the Diploma Progamme. Both SL and HL courses are designed to be taken within the two years of the DP, whereas AP classes are taken over the span of one year. SL courses are recommended to have at least 150 hours of instructional time, and HL courses are recommended to have at least 240 instructional hours (International Baccalaureate Diploma Programme). According to the IBO’s website, the DP core assessment is designed for students to reflect on the nature of knowledge, complete independent research, and undertake a project involving community service. Examining this core is pertinent to determining how the IBO believes they prepare a student for success in higher education, and how the assessments compare to AP. The IBO uses both external and internal assessment components in the DP curriculum. Success in both of these is required to receive the IB Diploma, and goes into the total score at the end of the two-year period, whereas the AP score is solely made up of the performance on the final exams. For most courses, the main forms of external assessment are examinations. The IBO believes them to be highly objective and reliable. They may include essays, structured problems, short-response questions, data-response questions, text-response questions, and/or case-study questions (“Assessment & Exams”). Teacher assessment is also used for most courses’ internal assessment. This may include oral work in languages, fieldwork in geography, laboratory work in the sciences, investigations in mathematics, and/or artistic performances (“Assessment & Exams”). The IB curriculum holds teachers to a higher standard, as they must attend workshops in order to teach their subject following IB guidelines. The IBO holds two major examination sessions each year in May and November. These tests are graded on a seven point scale, and may be distributed to chosen universities for credit where accepted, in a fashion similar to AP. The IB Diploma is designed for students seeking challenging academics. The curriculum is rigorous and time consuming, and therefore a specific group of highly-motivated students are targeted to enroll in the DP. In a The New York Times article, a public high school senior described the IB Diploma as marking students, “…the “top of the top,” Ms. Khabbaza says, “the academic leaders of tomorrow” (Gross). When the article was written in 2003, New York was described as being among the fastest-growing International Baccalaureate states. It had, “…24 high schools, including clusters on Long Island and in the Rochester area, among the nation’s 396 participating schools” (Gross). The article attributes the standards-based success to a broader audience in the United States in the 1980’s after the presidential report, “A Nation at Risk,” condemned an educational system lagging behind other countries. Her research raises questions about the access and support for students in poverty to participate in advanced course work like AP/IB. 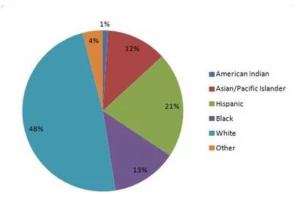 Sparks also found that of students who participated in the IB Diploma Programme in high school, low-income students of almost every race were a little less likely to immediately go on to college than IB classmates who were not low-income. She writes, “Programs geared toward academically advanced students can be a heavy lift in high-poverty schools, where students have to overcome… stereotypes suggesting they are somehow less able” (Sparks). Overall, Sparks’ research supports the idea of selection bias in the results of broad success for students who participate. In reality, the students who are having success are already statistically likely to succeed because of their race and socioeconomic status. However, Sparks acknowledges that Hispanic, Black, and White IB students in poverty were more likely to go on to college right after high school than peers in poverty who did not participate in IB. This supports the IBO’s claim that they prepare students for higher education. Nonetheless, there is undoubtedly selection bias inherent in the success of IB Diploma Programme students. Paul Tarc’s article, “What is the ‘International’ in International Baccalaureate? : Three Structuring Tensions of the Early Years (1962-1973),” addresses the difficulty in IB’s educational ideal. He names the educational ideal as one of three structuring tensions. Tarc writes, “The educational ideal of IB as a progressive education of ‘the whole person’ was in tension with the need for IB to have internationally acceptable standards…” (Tarc 239). During a historical period of strained democratization in the 1960s, IB was designed to represent a modern, forward-looking model of schooling with the aim of making a more peaceful world. In its early years IB was created for the social elite and they are the social class that have continued to utilize it from the 1970s to this day. Selection bias by the IBO has deep roots in the Diploma Programme. Students that do well in the IB curriculum are more likely to be elite. Students who wish to receive credit for international or foreign examinations (listed below) must have the official results sent to the Registrar’s Office for review. Course credits, not to exceed two per subject, may be granted. A maximum of nine course credits will be given for any combination of these results (“AP/IB Credits”). The same terms applied in the 1979-1980 issue for accepting scores of 5, 6 or 7. However, there were no course equivalencies listed in the 1979-1980 Bulletin. Importantly, not all colleges and universities recognize IB test scores for credit, especially standard level courses. The International Baccalaureate Organization, an international, non-profit educational foundation, has made a lasting mark on education curriculums since its creation in 1968. The International Baccalaureate Organization’s Diploma Programme, is arguably as rigorous, but not as widely known as College Board’s Advanced Placement. The IBO’s work with schools, governments, and international organizations since the 1970s to develop challenging programs of international education and rigorous assessment has earned it a reputation for high standards of teaching and student achievement with standards-based learning. Its adoption by United States military families, diplomats, and business professionals to maintain education uniformity for their children led to an implementation in hundreds of United States schools. The IBO has had triumph in preparing students of the curriculum to be more likely for success in higher education. Nevertheless, there is a deeply rooted selection bias in the students that are enrolled in these courses. The students who are having success are already statistically likely to succeed because of their race and socioeconomic status. The IBO contends its curriculum as making students more likely to succeed in higher education. However, it does not consider selection bias as a contributing factor among the students enrolled in IB courses. Fioriello, Patricia. “Pros and Cons of International Baccalaureate Program.” Blog post.Critical Issues in K12 Education. DRPFConsults.com, n.d. Web. http://drpfconsults.com/pros-and-cons-of-international-baccalaureate-program/. Gross, Jane. “Diploma for the ‘Top of the Top’; International Baccalaureate Gains Favor in Region.” The New York Times. The New York Times, 20 June 2003. Web. 01 Apr. 2017. http://www.nytimes.com/2003/06/21/nyregion/diploma-for-the-top-of-the-top-international-baccalaureate-gains-favor-in-region.html?pagewanted=all. Iborganization. “Assessment & Exams.” International Baccalaureate. International Baccalaureate Organization, n.d. Web. 15 Apr. 2017. http://www.ibo.org/programmes/diploma-programme/assessment-and-exams/. Iborganization. “DP Curriculum.” International Baccalaureate. International Baccalaureate Organization, n.d. Web. 15 Apr. 2017. http://www.ibo.org/programmes/diploma-programme/curriculum/. International Baccalaureate Diploma Programme Standard Level and Higher Level Courses. N.p. : International Baccalaureate, 2015. Web. http://www.ibo.org/globalassets/publications/recognition/slhl-brief-en.pdf. Sparks, Sarah D. “International Baccalaureate Saw Rapid Growth in High-Poverty Schools.” Education Week. Editorial Projects in Education, 31 July 2015. Web. 02 May 2017. http://blogs.edweek.org/edweek/inside-school-research/2015/07/international_baccalaureate_poor_students.html?qs=international%2Bbaccalaureate. Tarc, P. “What Is the ‘International’ in the International Baccalaureate? : Three Structuring Tensions of the Early Years (1962–1973).” Journal of Research in International Education 8.3 (2009): 235-61. Journal of Research in International Education. Web. DOI: 10.1177/1475240909344679. 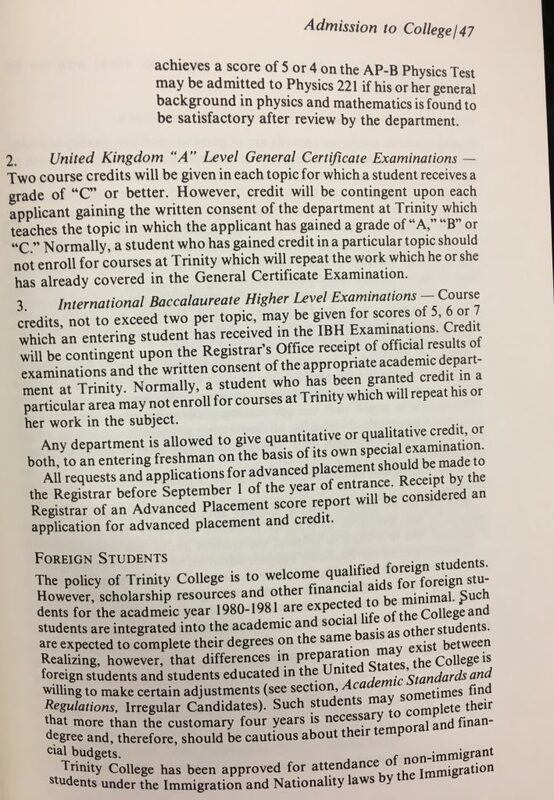 Trinity College, “Trinity College Bulletin, 1979-1980 (Catalogue)” (1980). Trinity College Bulletins and Catalogues. 47. David Guggenheim’s documentary, Waiting for “Superman,” addresses a broken education system that seems impossible to fix. 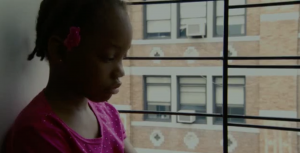 The film follows five children through their process of applying to Charter Schools. Faced against great odds, one was accepted, three were declined, and one was later accepted off the waitlist. Towards the end of the film, one of the students, Bianca, is unable to attend her parochial school’s graduation ceremony. 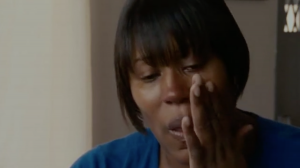 Her mother, Nakia, had recently lost hours at work and was unable to keep up with the $500 a month tuition. In this key scene, Nakia tears up explaining that she asked the principal, “Why penalize her for my responsibility?… To not let her be a part of the ceremony is just harsh” (Guggenheim 1:11:00). The filmmakers shot this scene so that the camera pans over both mother and daughter’s disappointed faces as Bianca watches her peers enter their school – directly across the street for their graduation ceremony. This influential scene depicts the way that Bianca’s parochial school punishes her for something that was out of her control. She is clearly confused, and asks her mother, “I’m not graduating…When am I gonna graduate?” (Guggenheim 1:10:24). This scene captures how a Harlem school was unwilling to accommodate its student, and instead made her feel ostracized from her educational community. Another student in the documentary, Daisy, wants to go to medical school, but is on track to feed into Roosevelt High School. It is described as one of the worst preforming schools in Los Angeles. The narrator says, “Only three out of one hundred students at Roosevelt will graduate with the classes necessary for admission to a four year university, and 57% of Daisy’s classmates won’t graduate” (Guggenheim 21:31). Dr. Robert Balfanz, a professor at Johns Hopkins University, uses the term “dropout factories” at 21:59 of Waiting For “Superman.” He uses this term to describe the more than 2,000 schools across the United States like Roosevelt that push students through the system until they are too far behind proficiency levels to do anything besides drop out. He calls these schools where over 40% of the students don’t graduate, dropout factories. The filmmakers use Bianca and Daisy as examples of students that face great obstacles in succeeding. They are quick to label schools as “dropout factories,” and show the perceived advantages of a non-tracking, innovative Charter School classrooms. However, the film uses selection bias, and does not address the good that can come from tracking in public schools, or the success that can come from attending a traditional public school. The film is biased towards all of the negatives that poor city schools face and present Charter Schools as the solution to every problem. In reality they may not be just that. The film creates another hole for itself because it does not even address Magnet Schools. Guggenheim, Davis. Waiting for “Superman.” 2010. Film. Spring 2017 Educ 300 syllabus.